Whether you are capturing actuality footage or collecting audio for another project while on the go, one of the most convenient recording devices you can have may well be sitting in your back pocket. A defining piece of personal technology in this modern age, the smartphone is truly a jack of all trades, offering anything from communication to games, finance to photo and video capture. However, if you're looking to capture professional audio, you'll be glad to know that your smartphone can come to the rescue, with a little help from RØDE. 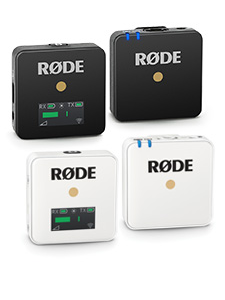 The innovative RØDE i-XLR is a digital converter that can enable you to record quality sound with a range of recording microphones straight to your Apple iOS device. Here's a closer look at how you can incorporate the i-XLR into your portable setup. Since its invention, the smartphone has advanced in leaps and bounds in terms of capability. No longer just a portal to the internet, these small devices are a powerful tool for recording both sound and image. According to the International Data Corporation (IDC), the number of smartphone users worldwide is set to surpass 2 billion people in 2016. Breaking that down, the IDC notes that a fair proportion of us are expected to use Apple's iPhones, with the company representing around 16 or so per cent of the global market share. If you have an Apple iOS device with the Lighting Port (rather than the old 30-pin port), you will be able to use the RØDE i-XLR to plug in directly to your iPhone or iPad. The RØDE i-XLR not only allows you to connect different recording equipment into your iOS device, but it also grants you further control over your sound. The broadcast-quality XLR adapter allows reporters to get the best out of any interview situation thanks to a headphone jack with adjustable volume control for headphone output. Being able to actively monitor the the sound makes it easier for reporters to maintain critical distance for optimum audio quality. In the video below we demonstrate some of the finer points of the RØDE i-XLR. 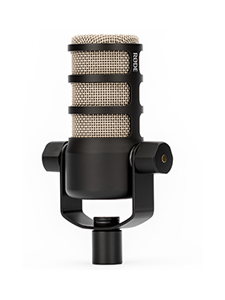 The adapter is compatible with a range of recording mics, so you can capture beautiful live audio with the RØDE M1 Live Performance microphone, and crisp, clear voice recordings with the RØDE Reporter Microphone. 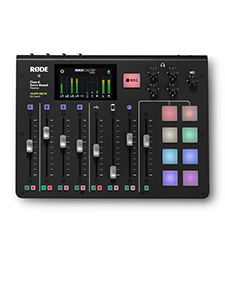 The i-XLR is designed to work seamlessly alongside the new RØDE Reporter app, free on iOS devices, allowing easy, one-touch recording with the i-XLR device. However, the i-XLR doesn't restrict you to reporter-style microphones - it also allows you to power a lavalier mic, bypassing your smartphone or tablet's internal audio circuit with the RØDE VXLR adapter. You can store your device in your pocket or bag, using the 3-metre shielded cable to comfortably position the microphone. Weighing in at 125 grams the i-XLR is a valuable addition for any audio professionals who require the best performance from a portable kit. With a one-year warranty, you can rest assured that the i-XLR is built to the same, durable standards as the rest of our equipment. The RØDE i-XLR and RØDE Reporter App are both available now!